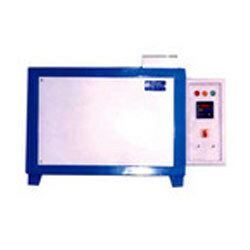 Leading Exporter of hot air oven for pharmaceutical industries from Hyderabad. We specialize in offering a finest quality range of Hot Air Oven for Pharmaceutical industries that is used for drying, curing, baking, and quality control. Our range is provided with sufficient fan motor and impeller capacity for same distribution of temperature in the work space. These products have single door with suitable locking arrangements. Looking for Hot Air Oven for Pharmaceutical industries ?